What are the power specs for Olive ONE? How do I set-up the sensitivity of my volume control? How do I put the ONE into sleep mode? How to rebuild my music library? How to access the share folder of Olive ONE from my PC/Mac to copy libraries? Can I automatically sync music between Olive ONE and my PC/Mac? How to start playback of music I can see on my Sinology NAS? How do I play my music randomly (shuffle mode)? How to ensure albums/artworks show up only once? What software can I use for embedding album artwork? How can I embed album artwork in Olive ONE? ★ What loud speakers can I use with my Olive ONE? 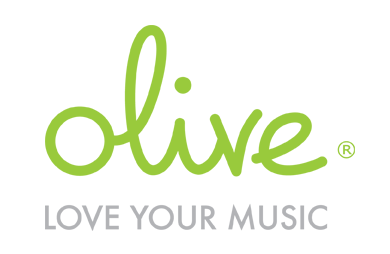 ★ Is there a mobile app available for Olive ONE? How do I output music to my USB DAC? What do I have to consider when connecting Olive ONE to my amplifier/receiver?